What is Stand 4 Recovery? Each candidate who is seeking help must submit an application. Applications must be filled out completely and honestly. Candidates are required to submit a copy of their state I.D. or Driver License. 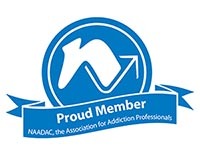 Candidates are required to write a letter of commitment detailing the nature of their addiction, and why receiving treatment is important to them. Applications may take up to 14 days to process before being awarded a scholarship for treatment. Candidates are required to check in by call or text with their assigned case manager every day for 14 days. If a candidate misses any check-ins, their application will be put on hold until the following month. Candidates are required to complete a full mental health assessment with their case manager and the treatment center before entering treatment. Candidates must agree to complete a program minimum of 90 days that take place in an inpatient treatment center that has been vetted by a Stand 4 Recovery case manager. Once a candidate enters treatment, they are now a patient of the treatment center. They must comply with treatment center rules and maintain their sobriety in order to continue receiving support from Stand 4 Recovery. Each treatment center is different and has its own rules. Case managers are required to request bi-weekly updates from the treatment center regarding patient progress. Do You Help All Addictions? No. Stand 4 Recovery does not ask for any money from our candidates or their families. Through donations and corporate partnerships, Stand 4 Recovery pays the cost of long-term, quality, vetted treatment for addicts who need help. How Do I Know this isn’t Just some Scam? We don’t ask you for a credit card. You do not have to pay for our services! Our mission is to get you or a loved one to a long-term, quality, vetted treatment center. That’s it. Why Can’t People Just Pay for their Own Treatment? Quality treatment is expensive! Well-known centers often cost up to $20,000 for a 30-day program. For those requiring 60, or 90-day programs, the total average of costs could range anywhere from $12,000 to upwards of $60,000 to $100,000. Your generous donation will be used to pay hard costs needed for someone seeking treatment. We are proud to announce that 98 percent of all funds raised go toward funding treatment for our clients. Most treatment centers offer a 30-day program. 30 days is not nearly enough time needed to treat SUD especially when there are underlying mental health issues that may need to be identified, observed and diagnosed properly before the treatment can even begin. Stand 4 Recovery only works with treatment centers who understand that at its core and will treat a patient for a minimum of 90 days and sometimes even up to one year with most of the treatment being completed in an inpatient setting. There are so many treatment centers in this country, and yet, if every addict decided to get sober today, we wouldn’t have enough beds for everyone to get the right kind of treatment they need. 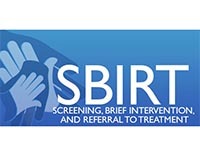 Stand 4 Recovery only works with treatment centers that are staffed appropriately with a licensed medical and clinical teams, use evidence-based treatment methods to treat each patient individually to their special needs, and offer all levels of care from initial detoxification to outpatient treatment. Such treatment centers offer our clients a much more intimate setting, giving each patient the one on one attention they so need and deserve. A vetted program is one that has been observed over a period of time and has a proven track record for providing ethical and evidence-based treatment for life-long recovery, not short-term sobriety. Why is it so Important to go to a Vetted Program? Stand 4 Recovery remains committed to promoting effective treatment options for the people we serve. No one addict is the same, everyone has different needs for different issues. We know our clients can recover when they receive proper and appropriate services for their individual needs. Stand 4 Recovery case managers are trained to identify a program that will best be suited to our client’s needs. That is why the mental health assessment and 14 day check-in period is so crucial. These criteria are meant to give case managers better insight to a candidate’s individual needs. Our treatment center partners are located in various parts of the U.S. Case managers will take into account a candidates full story including mental health needs, geographic location, recommended treatment modality (12 step or non 12 step), state probation, and any other details to determine the best treatment center. How come you only help people in Alaska, Hawaii, Illinois, Maryland, Michigan, North Carolina, North Dakota, Oklahoma, Pennsylvania and South Dakota? The Stand 4 Recovery 2018 program is piloting in states where resources for treatment are extremely scarce. Individuals seeking help in these states currently have nowhere to turn to for help. We hope to be able to serve other states in 2019. Why Don’t You Just Send People to State-Funded Programs? Because funding for state treatment is limited and must be distributed among potentially large numbers of individuals, the waiting lists for state funded treatment programs can be over 90 days out. 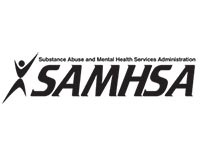 In addition, screening methods used by state-run programs are out of date which causes some patients to enter into programs not necessarily most suited to their needs, continuing the cycle of chronic relapse. Is Stand 4 Recovery a 501(c)(3)? Almost! Stand 4 Recovery received its nonprofit status in November 2017 and is expected to receive tax exemption status in early 2018. Please check back with us in April for an update!